Managing Editor, InMilitary.com and InCyberDefense.com, Veteran U.S. Army and U.S. Air Force. Speaker and veteran advocate. Three years ago, I wrote a somewhat confrontational article about why 22 was not the correct number of how many veterans commit suicide each day in the United States. I argued that if hiring managers and recruiters focused on the number 22 without context, they could severely impair veterans’ ability to find meaningful employment. After all, according to the now infamous Veterans Affairs report from 2012, the VA candidly said it was using data collected from only 21 states. My line of reasoning, whether right or wrong, was that assigning the number 22 to the younger generation of veterans perpetuated a destructive stereotype for post 9/11 veterans. The number of daily suicides could potentially be much higher than 22. The majority of veteran suicides were 50 years old and older. In addition, by focusing on the wrong generation, Vietnam-era veterans were not getting the support and outreach they clearly needed. Now, three years later, it’s a good time to take a fresh look at veteran suicide. It’s time to discuss what has changed, what has stayed the same, and who are the men and women on the front lines fighting to prevent veteran suicide. Fortunately, we no longer have to rely on incomplete data. On June 18, the VA released a new report titled VA National Suicide Data Report 2005–2015; another report covering 2016 will be released this fall. These reports are a compilation of data collected from all 50 states. It is worth noting that the methodology is sound, using information collected from a number of comprehensive population databases. This new report — which was long overdue — gives us the clearest snapshot to date of the ongoing suicide epidemic. Perhaps the biggest revelation from the VA report is that the average number of daily veteran suicides “has always” included active-duty servicemembers and members of the Reserves and National Guard. This is a crucial point that the 2012 report did not make clear. As a result, the new numbers show that from 2005 to 2015, an average of 16.5 veterans died by suicide every day. During the same period, 3.3 active-duty Guard or Reserve servicemembers committed suicide every day. That is a total of 19.8 total daily military and veteran suicides. Understanding that even one veteran suicide per day is one too many, 16.5 is a far cry from 22. In my article three years ago, I argued that due to incomplete data, the number of daily veteran suicides in the U.S. was likely much higher than 22. In fact, I was wrong and thankfully so. Still, there is a tremendous amount of work yet to be done in preventing suicides. Interestingly, suicide rates were highest among younger veterans (ages 18–34) and lowest among older veterans (ages 55 and older)in 2015. However, veterans 55 and older accounted for 58.1 percent of all veteran suicide deaths that year. In addition, after adjusting for differences in age, the rate of suicide in 2015 was 2.0 times higher among female veterans compared with non-veteran adult women. The report also details the method of suicide, race as a consideration and the increased risk of female veteran suicides. There are also detailed statistics of suicide rates among veterans who sought mental health care at a VA medical facility. These demographic details are extremely important because they help policymakers focus resources on where they are needed most. What is the VA doing with this new data? To its credit, the department has been steadily improving patient outcomes over the past decade. Historically, I have been critical of the VA, especially in the wake of the 2012 scandal at the Phoenix VA facilitythat led to the resignation of VA Secretary Eric Shinseki. However, in light of this new data, the VA has undertaken new measures to prevent suicide while bolstering already existing programs. Among those measures are programs like SAVE Online Suicide Prevention Training in collaboration with PsychArmor Institute. SAVE is designed to prepare people who interact with veterans to demonstrate care, support, and compassion when they talk with someone who could be at risk for suicide. The Veterans Crisis Line has dispatched emergency services to callers in immediate crisis almost 93,000 times. They have forwarded more than 582,000 referrals on behalf of veterans to local VA Suicide Prevention Coordinators (SPCs) to ensure continuity of care. Perhaps most important is the VA’s use of predictive analytics to identify and intervene early for those veterans who are at risk. Through screening and assessments, veterans in the top 0.1 percent at risk (who have a 43-fold increased risk of death by suicide within a month) are identified before clinical signs of suicide are evident. The goal is to save lives before a crisis occurs. All of these measures point to an increased drive and renewed focus by the VA to get on top of this staggering epidemic. But the VA isn’t in this fight alone. Nonprofit organizations have had just as much of an impact in addressing PTSD, TBI, veteran addiction and suicide. I recently sat down with 22Kill CEO Jacob (Jake) Schick, USMC veteran and Purple Heart recipient, to find out how his organization is combating veteran suicide. Wes: Jake, thanks for taking the time to chat about your work at 22Kill. I think the work that you are doing has a tremendous impact. I first heard about 22Kill from a viral social media post a few years back called the #22Pushupchallenge. If “raising awareness” of veteran suicide was the goal, do you think you succeeded? Are people more aware today than they were three years ago? Jake: Thanks for the opportunity, Wes. To answer your question, awareness has absolutely increased. The number 22 is one of the most well-known statistics in the military and veteran community, and now in the civilian community, thanks to campaigns to raise awareness by us and other nonprofits. It doesn’t matter what the exact number is. What matters is that we have a serious problem that needs serious solutions. Wes: What are some of the programs that you offer at 22Kill? Jake: One of our most popular programs is called Camp Valhalla, which involves weekend retreats as well as single-day events. 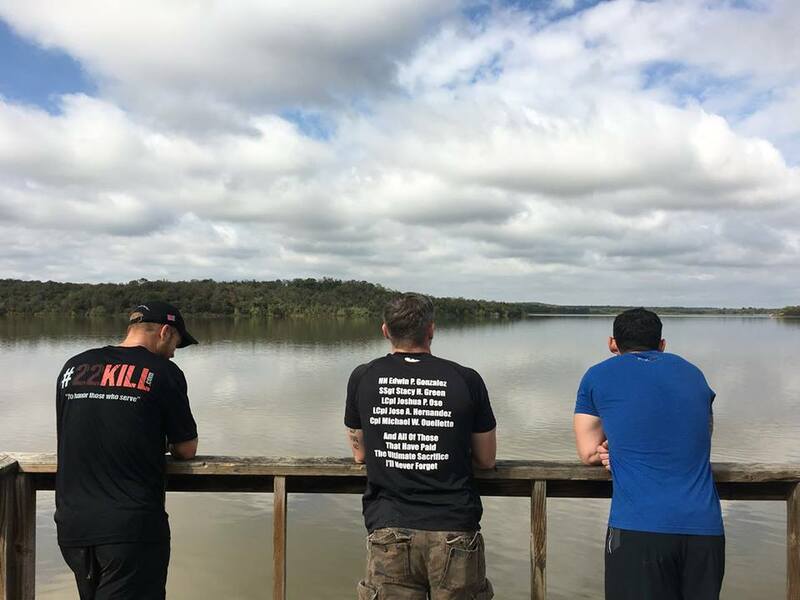 During the retreats, we like to rekindle that sense of brotherhood/sisterhood that they shared in the military and missed since leaving the service. We also have counseling services and workshops for White Star Families. A White Star family is one who has lost a loved one to suicide, someone who served in the military or as a first responder. Wes: Who is welcome at 22Kill and where are you located? Jake: We’re based out of Dallas/Ft. Worth. We like to say that we can’t help everybody, but we never turn anyone away. If you come to our facility, we will try to help you. But the bottom line is that we need resources to continue to provide the programs and services that we offer. 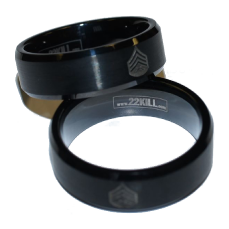 Of course, we accept donations as a 501(c)3 nonprofit organization, but we also sell clothing and special engraved rings at our online store. We also make it a point to mention that we don’t just treat the warrior. PTSD, depression, suicidal ideation — these are complex issues with multiple root causes. We treat the whole family because these issues affect the whole family. We’re very focused on getting the warrior out of his or her comfort zone. For instance, this weekend, we’re hosting a meditation session. Some warriors might say, “Wow, that helped a lot.” Others might say, “It wasn’t for me.” But the point is that we’re trying to get warriors to try new things. Wes: Jake, I think you’re doing amazing things for veterans. Please keep it going. Jake: My pleasure, Wes. Semper Fi. The importance of organizations like 22Kill cannot be overstated. The Department of Veterans Affairs can only help those vets who touch its systems. For those veterans who don’t engage with the VA, it’s up to all of us to make sure that every door is the right door for a veteran in need of support. Nonprofits like 22Kill as well as state-level, community and municipal organizations are essential. They need to take this new data and use it as a tool to lower suicide rates in the military and veteran community. The number 22 is still a great rallying cry to engage civilians in this ongoing war. This is a war that may never be won, but each veteran saved is a victory worthy of a parade. Our nation’s warriors deserve no less than our unconditional support. If anything, the new data reveals that this is an all-hands-on-deck moment for our country. Recent high-profile suicides like Anthony Bourdain, Kate Spade, and Chester Bennington simply reinforce what the veteran community has been struggling with for almost two decades. There is still intense work to be done in mental health care in the United States. Veterans Crisis Line – Call 1-800-273-8255 (Press 1), have a confidential chat at veteranscrisisline.net or send a text to 838255. This resource offers 24/7 access to a skilled, trained counselor at a crisis center. This crisis line also serves active-duty military. BeThere Peer Support Program – This peer support call and outreach center is staffed by veteran service members and family members of veterans. It aims to provide support for everyday problems concerning career and general life challenges. Make the Connection – This online resource is designed to provide veterans, their family members and friends, and other supporters with information, resources, and solutions to issues affecting their lives. SAVE Online Training – In collaboration with PsychArmor Institute, the VA has developed free online SAVE training. It is designed to equip anyone who interacts with veterans to demonstrate care, support, and compassion when talking with a veteran who could be at risk for suicide. Tragedy Assistance Program for Survivors (TAPS) – TAPS offers care to those grieving the death of a loved one serving in the U.S. Armed Forces. Established in 1994, TAPS operates 24 hours a day, seven days a week through a national peer support network. TAPS provides a connection to grief resources at no cost to surviving families and loved ones. Wounded Warrior Project’s Combat Stress Recovery Program – The Combat Stress Recovery Program (CSRP) addresses the mental health and cognitive needs of warriors returning from war. CSRP provides military rehabilitation services at key stages during a warrior’s readjustment process. VA/DOD Clinical Practice Guideline for Assessment and Management of Patients at Risk for Suicide – These comprehensive guidelines outline a framework for structured assessments of adults suspected of being at risk for suicide. The guides also provide information about the immediate and long-term management and treatment that should follow when an individual is found to be at risk. Give an Hour – Give an Hour’s mission is to develop national networks of volunteers capable of responding to both acute and chronic conditions that arise within our society, beginning with the mental health needs of those who serve and their families. This nonprofit organization provides free mental health services to military personnel and their families affected by the conflicts in Iraq and Afghanistan. While its focus is on veterans, Give an Hour also features a variety of resources available for active-duty military. Defense Suicide Prevention Office (DSPO) – DSPO provides advocacy, program oversight, and policy for the Department of Defense. It focuses on suicide prevention, intervention and post-intervention efforts to reduce suicidal behaviors in servicemembers, civilians and their families.